1. 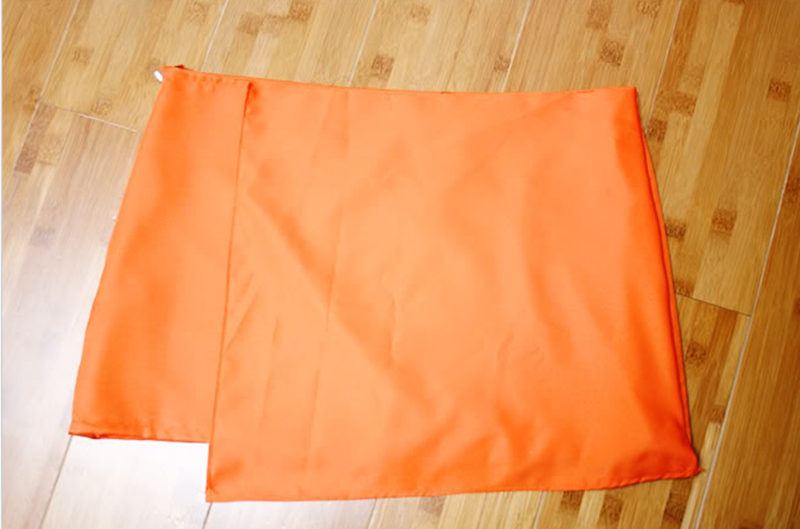 A skirt. Sew your own or buy one. If you buy one, you will still need to buy some fabric for the top part to come across and hang lower on one leg. First, I made this easy BurdaStyle Above the Knee skirt as my base. The only alteration I made was shortening the skirt. This pattern will come in handy in future projects, I imagine! Whatever skirt you choose, just make sure its pretty basic in its cut. 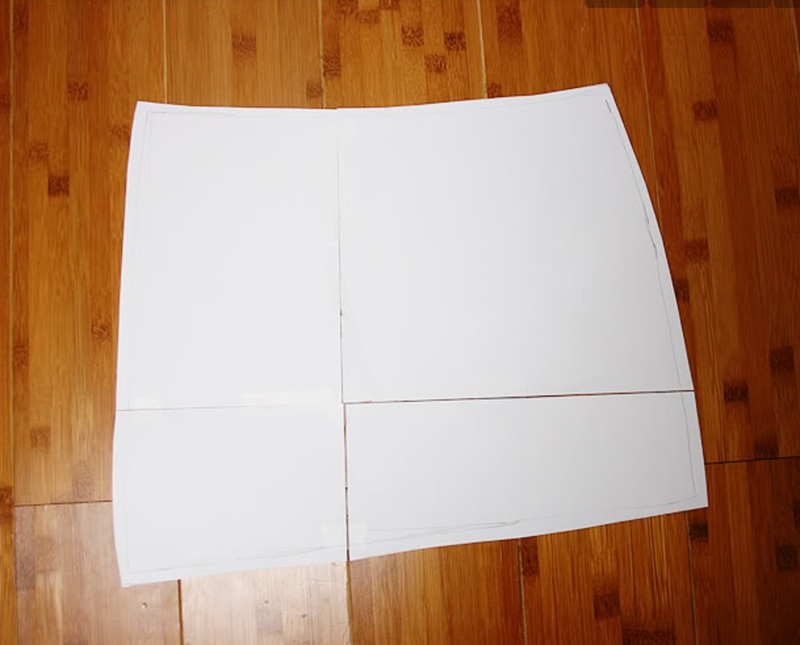 Lay your skirt on a large piece of paper. I taped together some scrap-booking paper I found. We need to trace what kind of shape we want to cut out. I started on the right side following the edge of the skirt, and drew another line following the top of the skirt, leaving the top line a little bit shorter than the full length. The bottom line I drew a little asymmetrical. See below photo! Before you cut, make sure you add a little seam allowance. See what I mean? 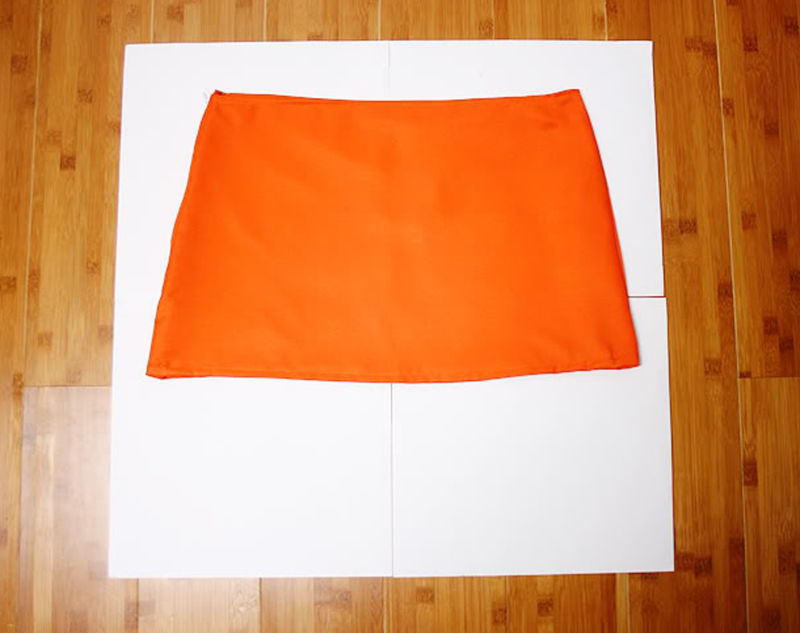 It isn't as wide as the skirt, and one side is the same length whereas the other is longer. 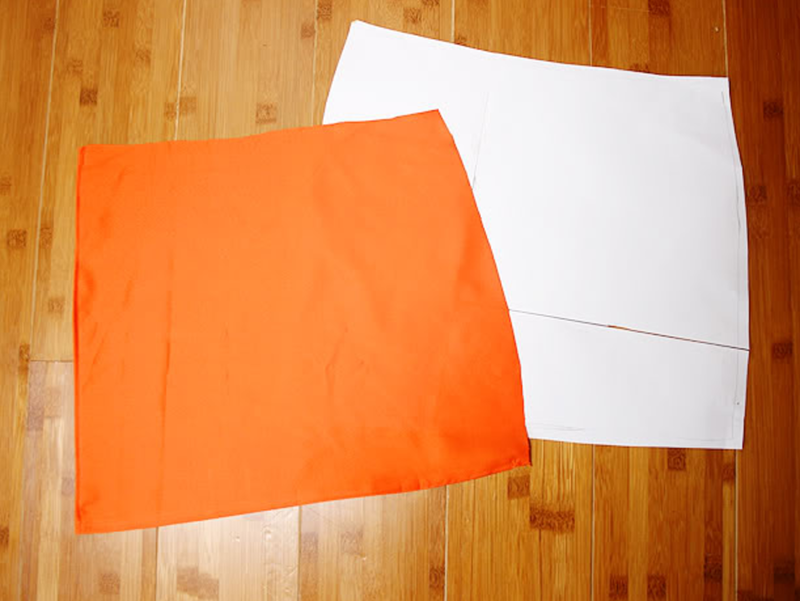 Here, I pinned my paper pattern underneath the skirt to see if I had the right shape. Trace on your fabric and cut! The side that is the same length as the skirt, and the top part do not need to be hemmed, but do so for the longest side and for the bottom. Now this can get a little confusing once I put it into words, so I hope the photo helps. Take your skirt with the un-hemmed side, and lay it next to your skirt. See how the edges match in length? Pin the two together along that edge. 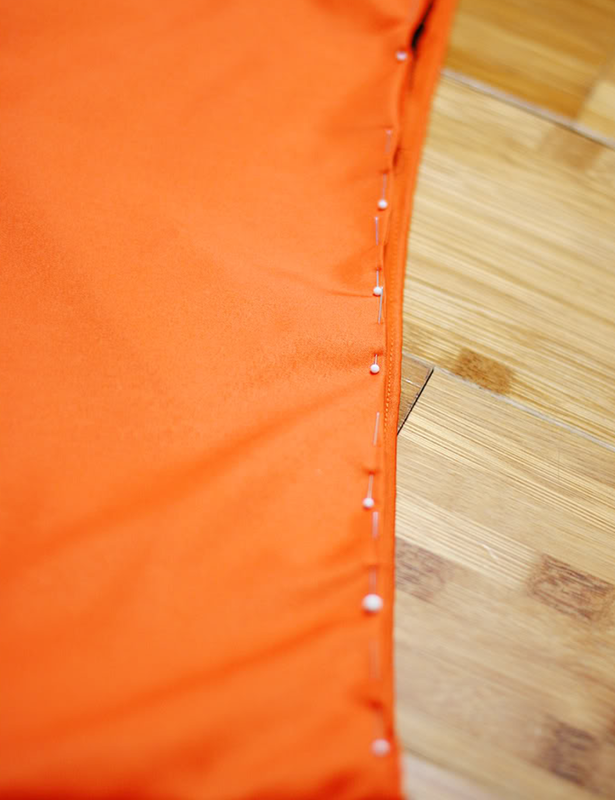 You want to pin right sides facing (meaning put the two sides of fabric that you want to show together), and sew along the skirts existing seam. 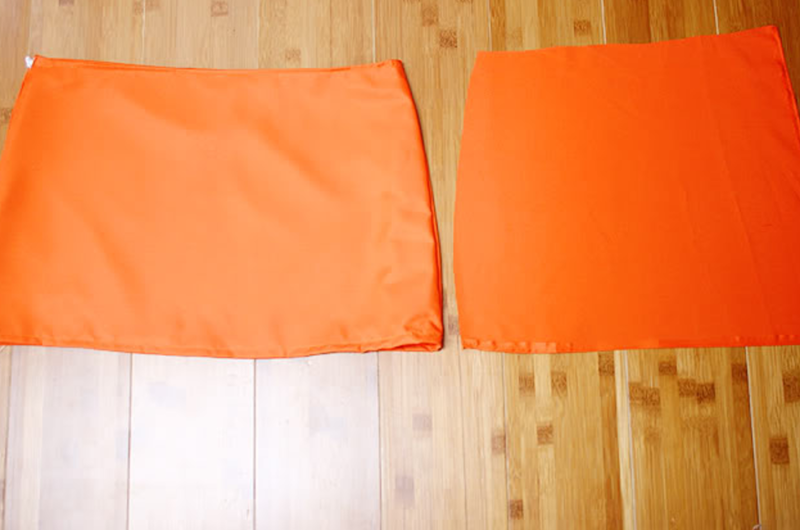 This way, when you pull the fabric back over to the front of the skirt, the seam is hidden! 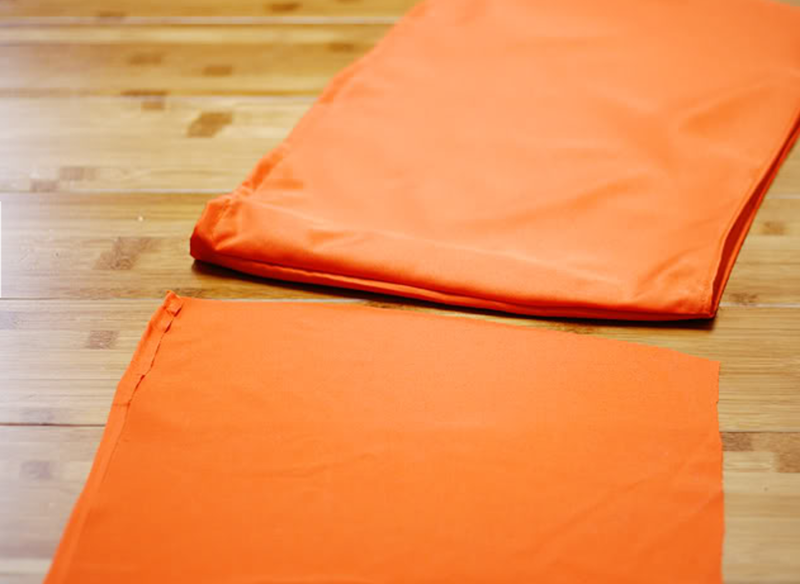 Take the top part of the new flap you added, and fold a small section of it inward and pin as close as you can to the existing skirt. 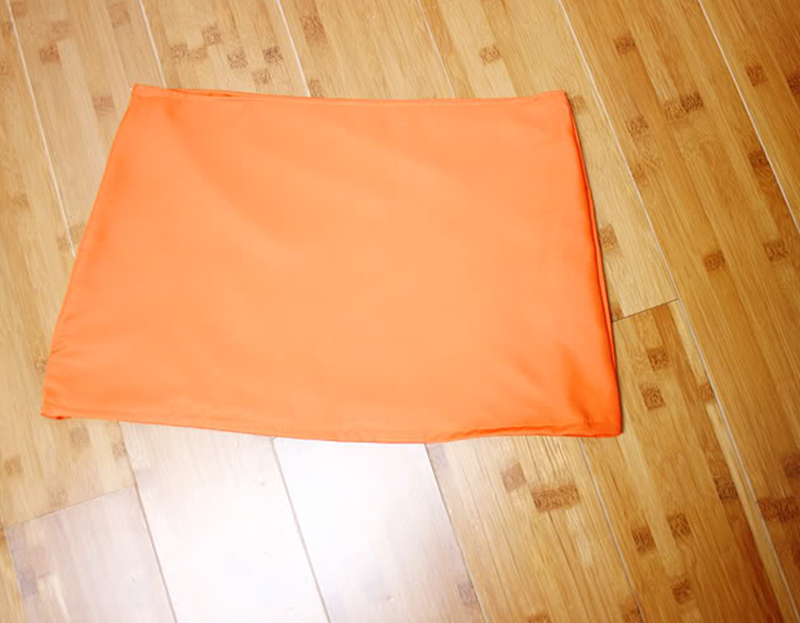 This will give you a flat edge that looks real professional~ After that, all that is left is to sew the longest side of the flap onto the skirt! I just sewed right over the existing hem that I had already made on the new flap. Make sure to iron too, the little details make it that more awesome. And there you have a wrap around inspired/asymmetrical hem skirt! 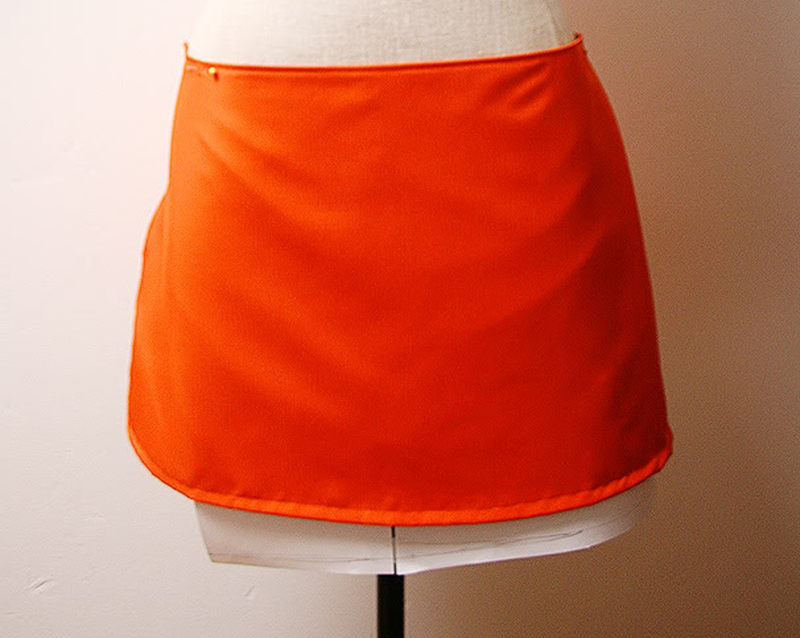 Next post I will show you how I style this lovely traffic cone orange skirt. Great tutorial! Thanks for sharing this!